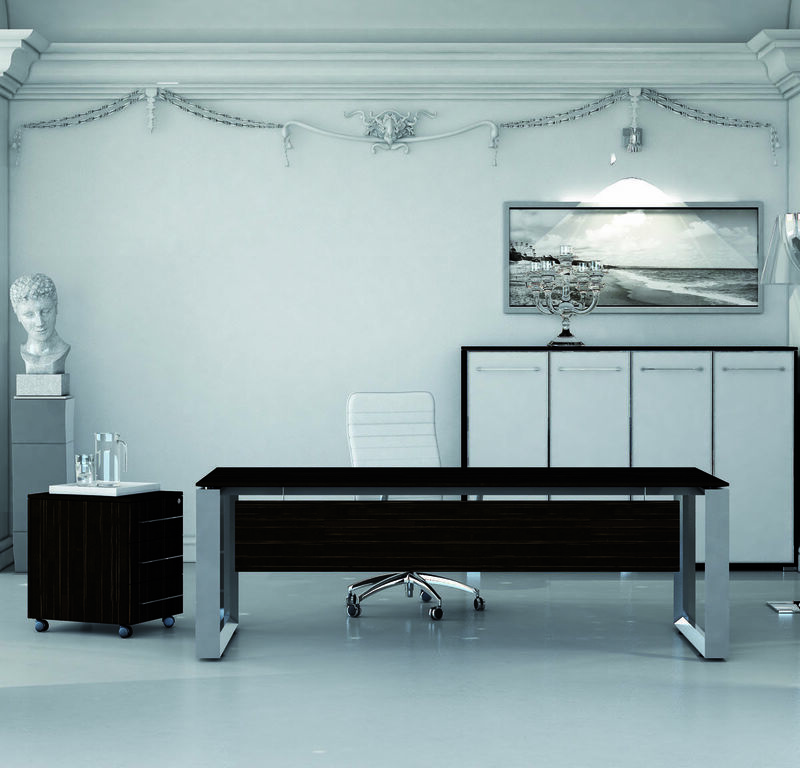 The structure of the desks are completely in ALLUMINIUM. 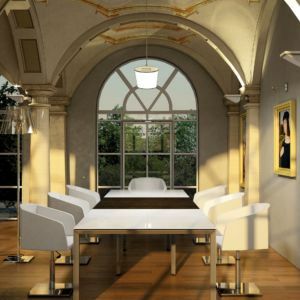 The legs are designed for the passage of an electric cable hooked under the table. Furthermore they are provided with adjustable feet. The structures’ range also provides the version with wooden panels. 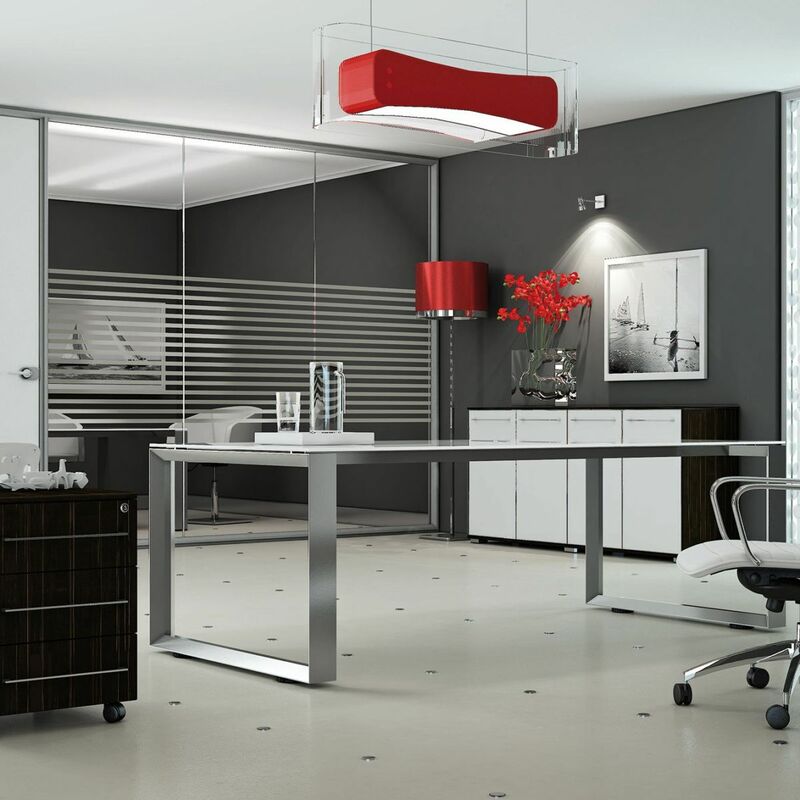 In the inner part there is an alluminium structure to offer more stability at the structure itself. The structure of the desk is canalized thanks to a cable-holder chest. It is made of steel wire (in Brill) and hooked under the desktop. 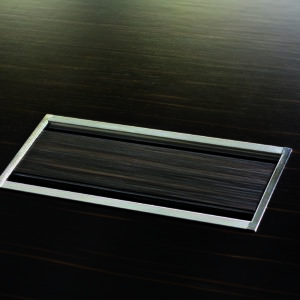 The passage of the cables from the chest to the desk is possible through a cable-runner box called FLIP TOP. This box has a double opening, with the possibility to have the plug of the same finish of the desktop or as the alluminium leg. 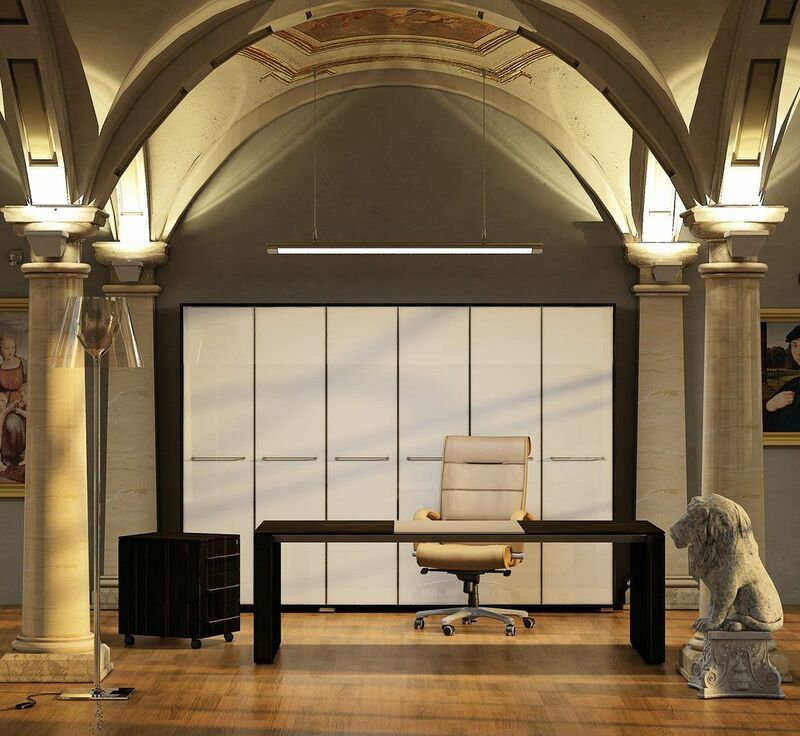 The desktops are made of MDF thickness 19 mm, veneered with essence of wood veneer thickness 1,5 mm , thus obtaining a better quality. The tops are painted with acrylic paints anti-yellowing and anti-glare. The tops might be in glass of 10 mm thick, but also in leather of the same colors of the seats. Glass painted White RAL 9010. The drawers are made entirely of venereed with wood veneer edged with the same thickness of 1.5 mm. 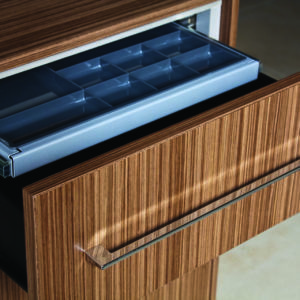 The internal drawers are manufactured with wooden chipboard covered in PVC with metal sliding runners and pivoting castors. 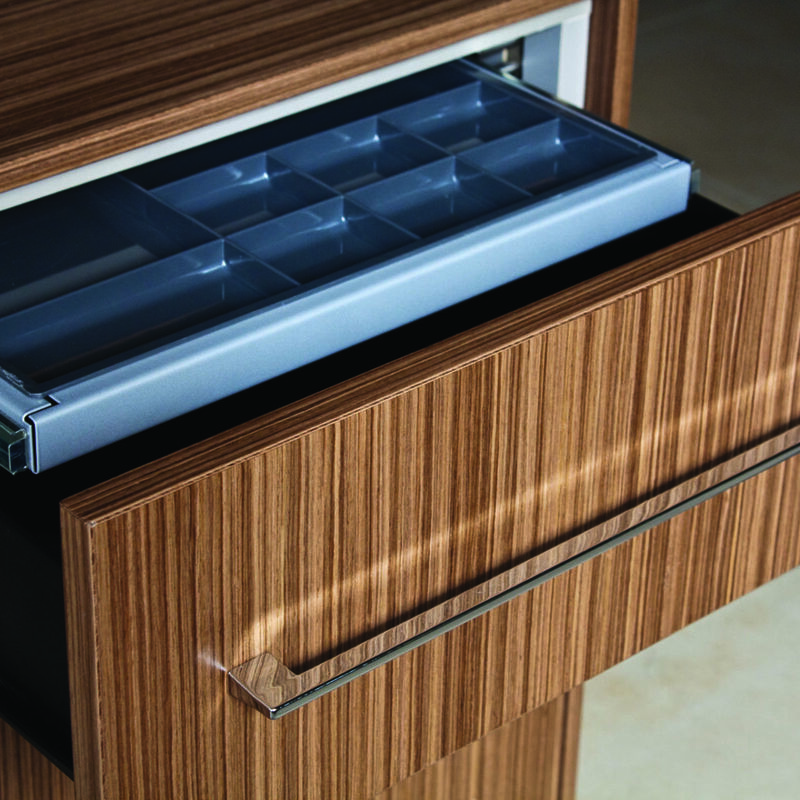 The cupboards have a depth of 600 mm and the doors can be opened by means of the PUSH system. 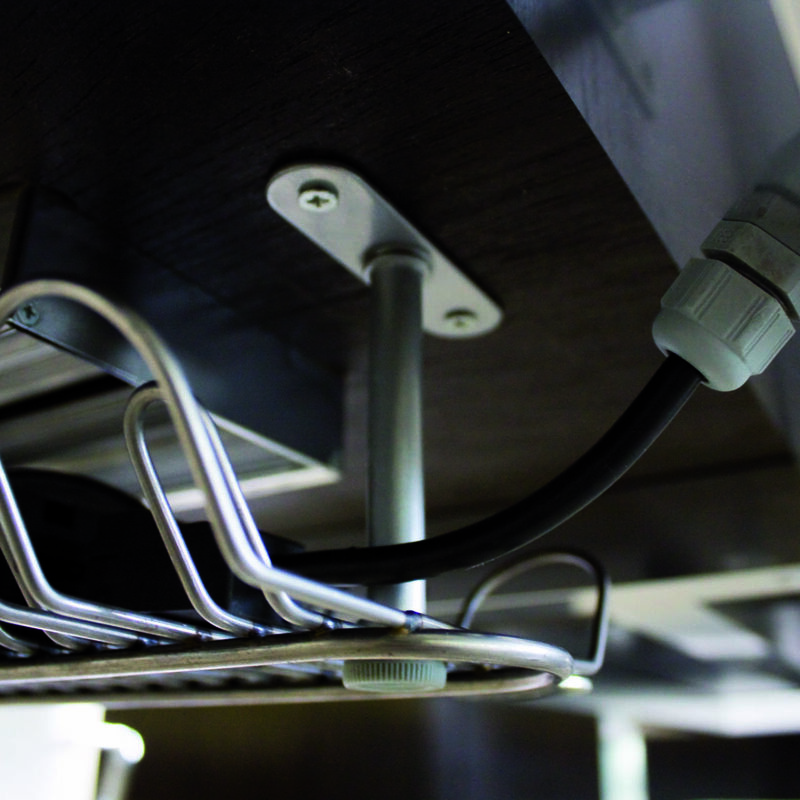 Among the various accessories, there are the holder-stationery drawer PUSH CONTROL, available for libraries or for cupboards. 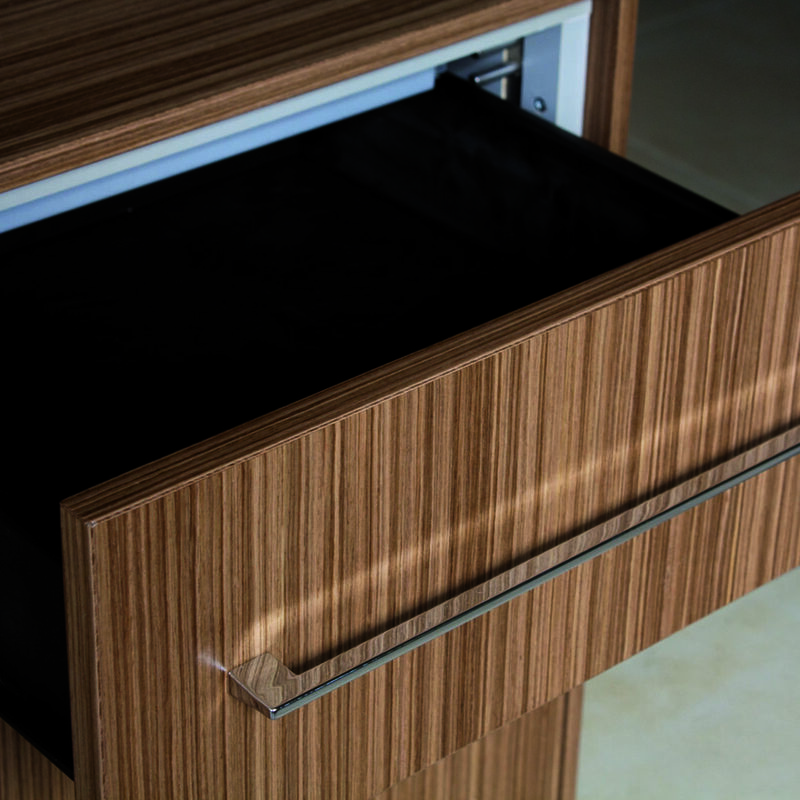 All the PITAGORA details are made with the same finish Brill, from the desk’s leg to the handle, even the cylinder of the lock and the cable-runner chest etc. The libraries are supplied as standard with upper top, lower top and sides cover always veneered in essence of wood veneer, thus obtaining an excellent finish and a high aesthetic impact. Internal classifiers can be hooked inside, and can be completed with a multiple lock (pull-out cylinder) anti-overturning and soft system. 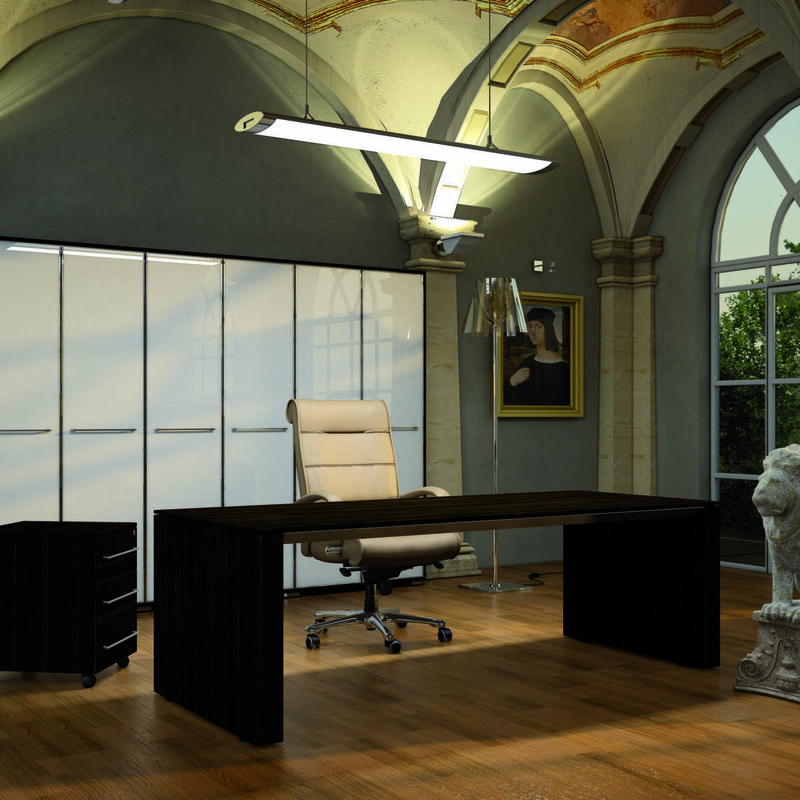 The glass doors have an alluminium perimetric frame in Brill and tempered glass of 4 mm thick with the possibility of lacquering. 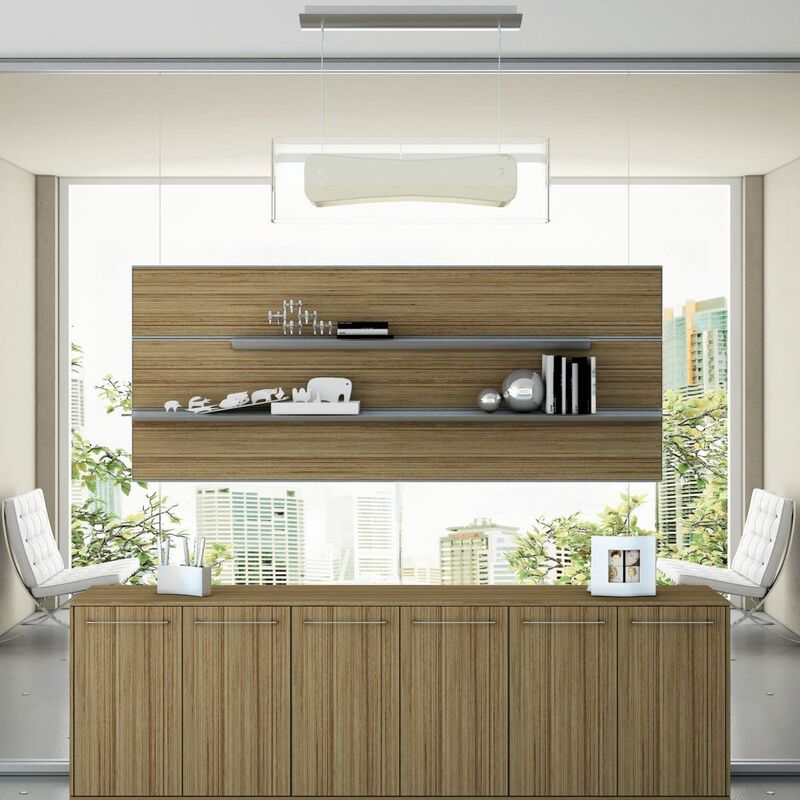 Pitagora is manufactured using environmentally friendly recyclable material, Arcadia is part of the consortium ECOLOGICAL PANEL.